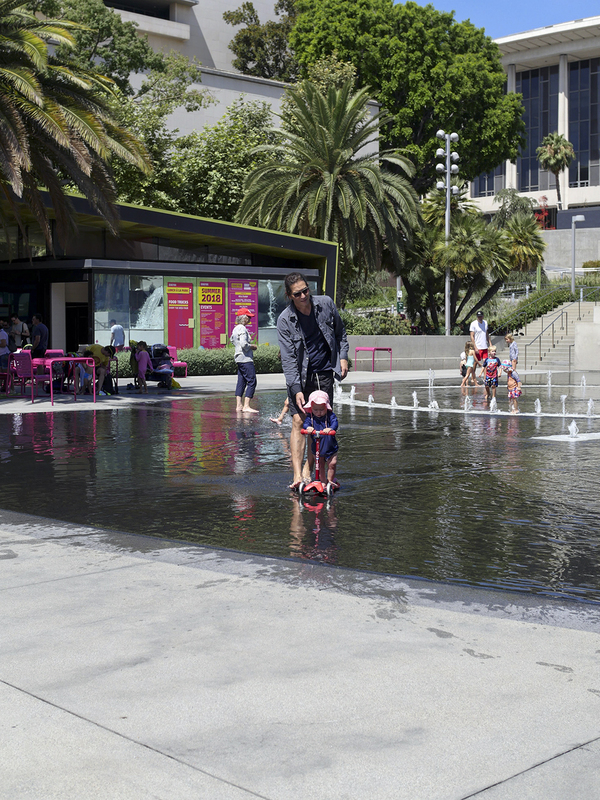 Grand Park is located in the heart of Downtown Los Angeles, stretching between the Los Angeles City Hall and the Los Angeles Music Center. 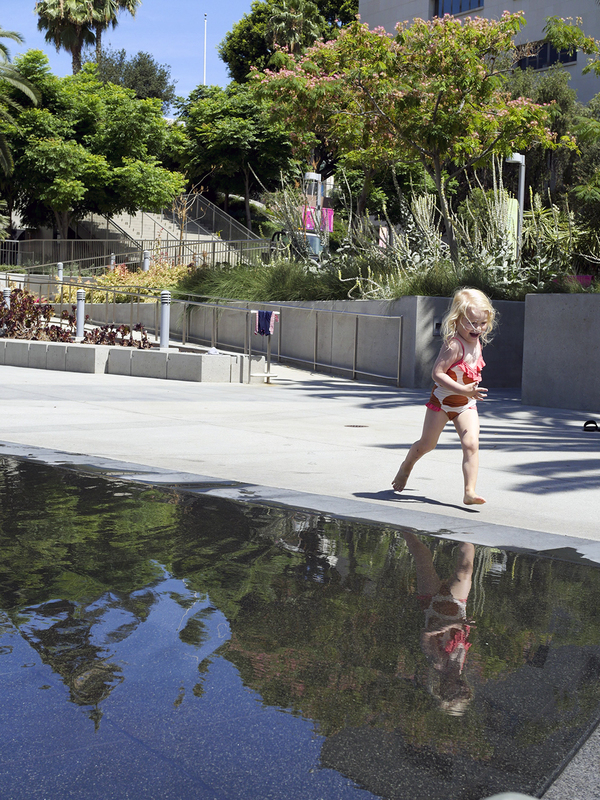 The pedestrian-friendly park sits on 12 acres (!) and includes pathways with drought-tolerant plants, movable (bright pink!) picnic furniture, entertainment areas, expansive lawns and kiosks. 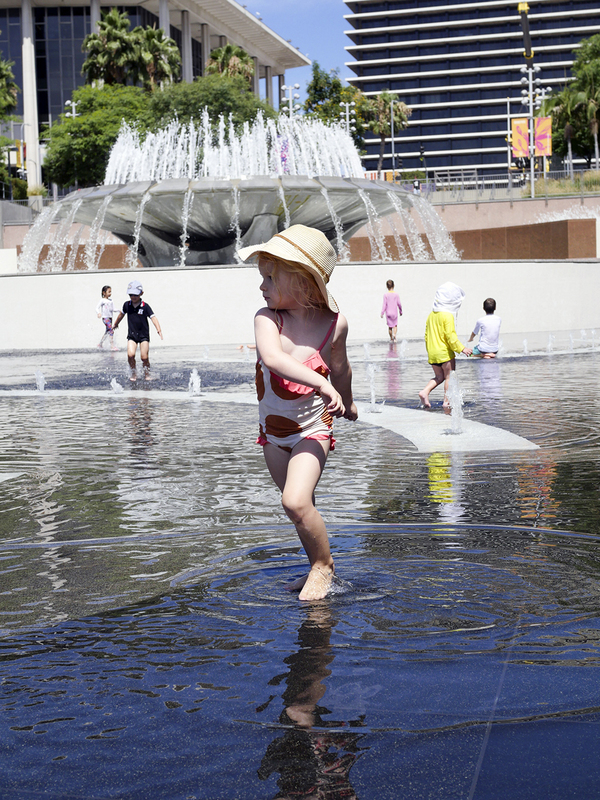 But best of all, by far, is the interactive plaza fountain! 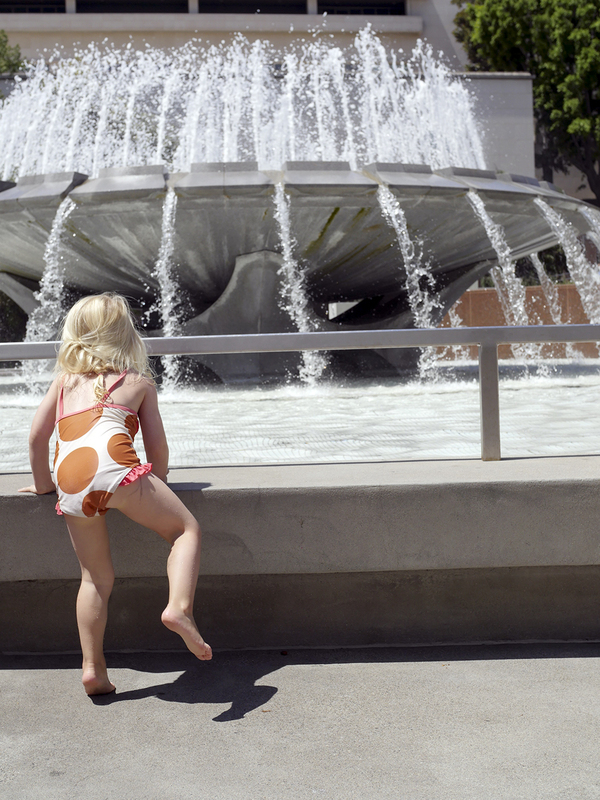 The large wading pool is only about an inch or two deep, which is so ideal for small children. 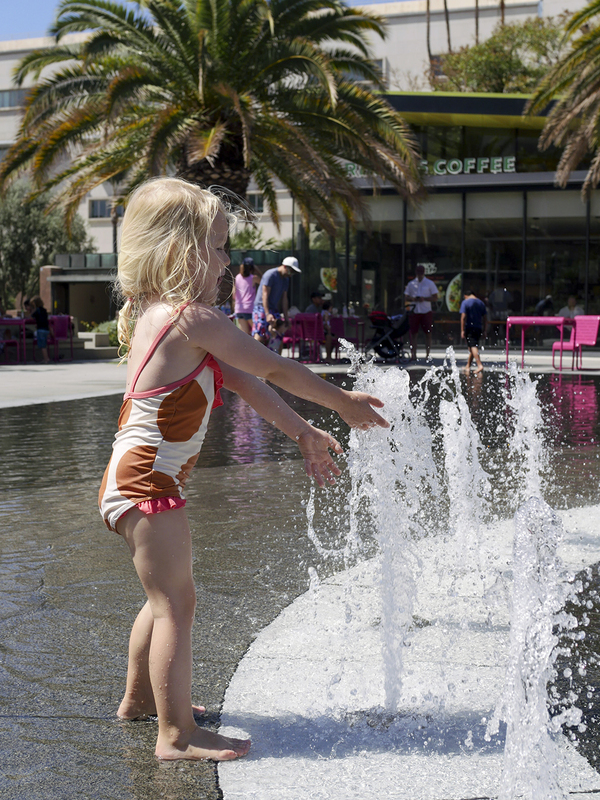 With a series of little fountains spraying knee-high, this landscape is the perfect place to play, cool off during the hot summer days, and to take a breather from the concrete surroundings. It’s easy to meet other families and strike up a conversation with other visitors, propelled by all the joy that is happening in this spot! There is a Starbucks coffee shop and restrooms located next to the wading pool. So convenient! 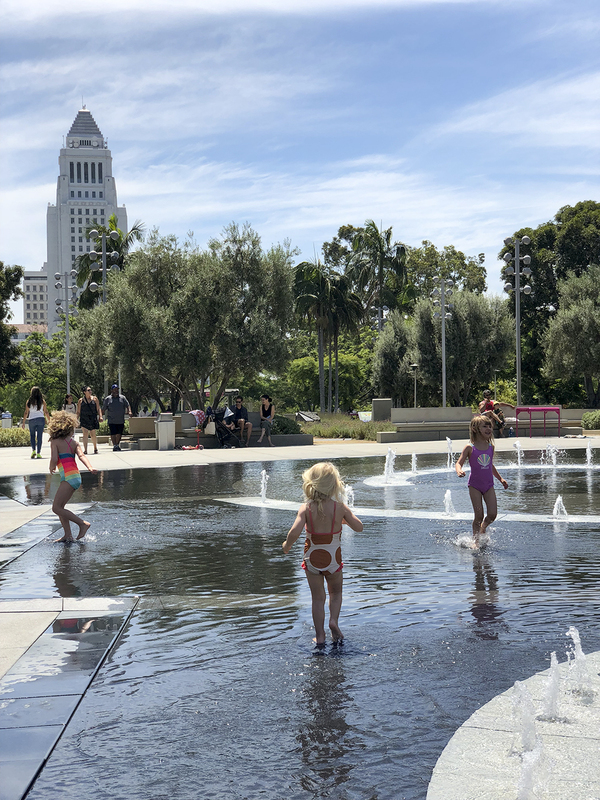 If you are planning to visit the Disney Concert Hall, the Broad Museum or MOCA, this wading pool and Grand Park is just a short walk away and a great place to let your kids run freely in between sightseeing. Just remember to bring swimsuits or a change of clothes! 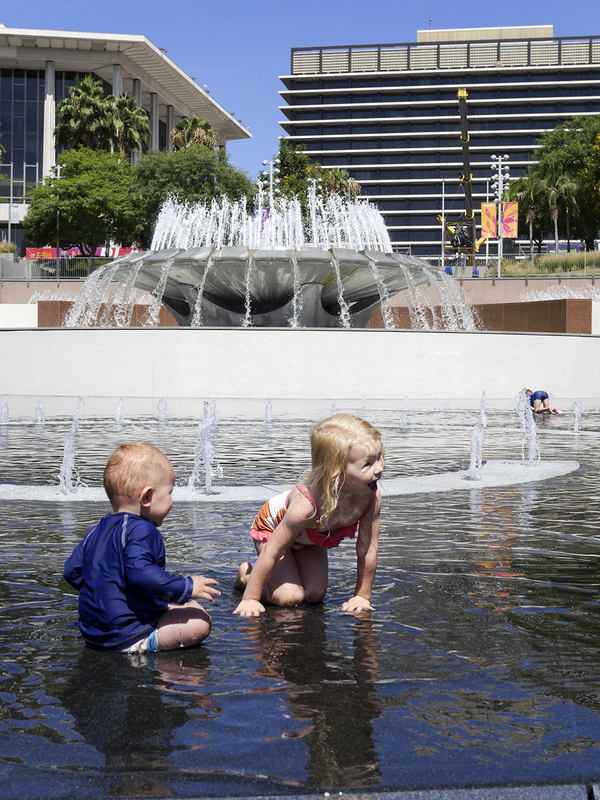 The first time we “stumbled upon” this fountain two years ago, we were not exactly prepared and ended up going to Moca after Grand Park with a toddler in a diaper and t-shirt from getting soaked in the fountain! The park is open every day from 5.30am to 10pm. If you are coming by car, there is parking all around the park, either in parking structures or street parking. 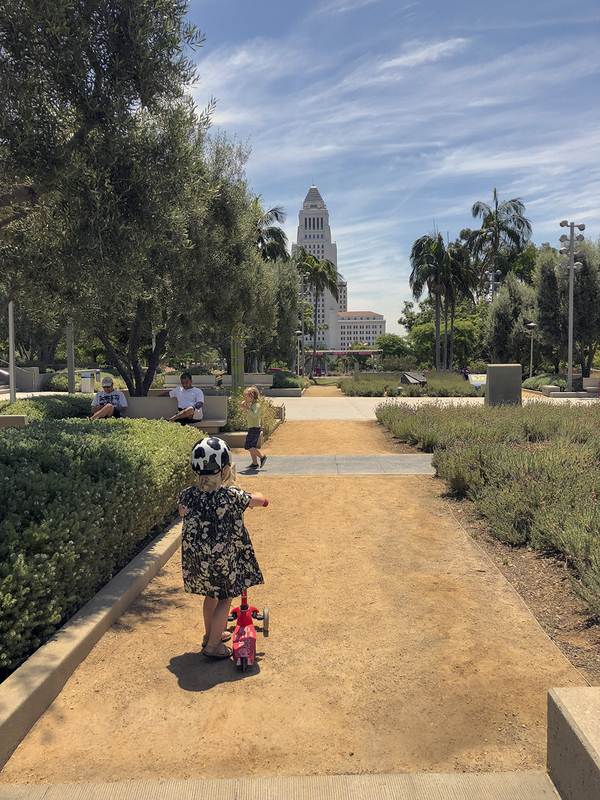 There is also a metro stop (Civic Center / Grand Park) located almost exactly in the middle of the park, which is so convenient for navigating children in busy Downtown LA and for avoiding traffic.